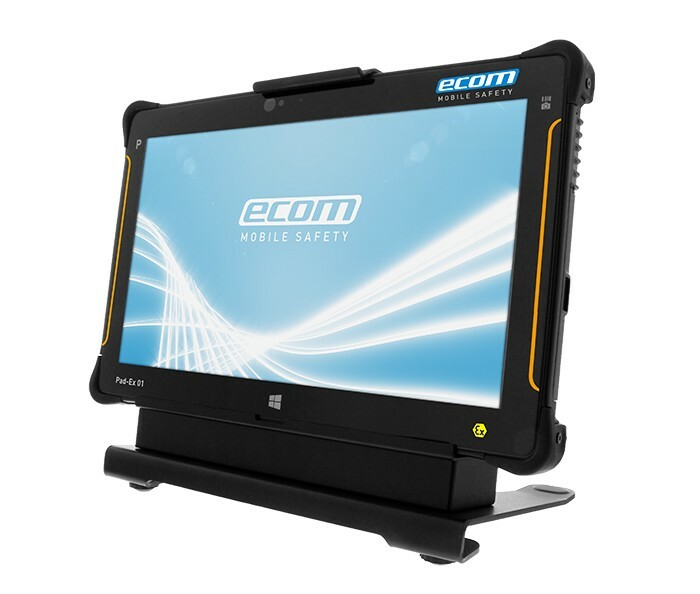 The Pad-Ex 01 HR from Ecom Instruments is rugged mobility at its finest. lt's ultra-thin and lightweight exterior measures only 20 mm in height and 1.2 kg in weight. 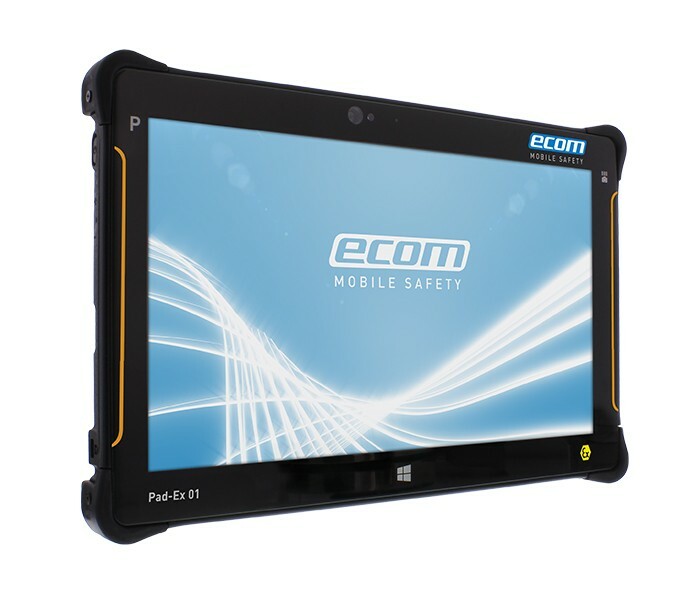 Despite an ultra compact form factor, Pad-Ex 01 manages to fully meet real world IP65 conditions over -10 to 55°C, including 1.2 meter drop testing and MIL-STD 81 OG for vibration. 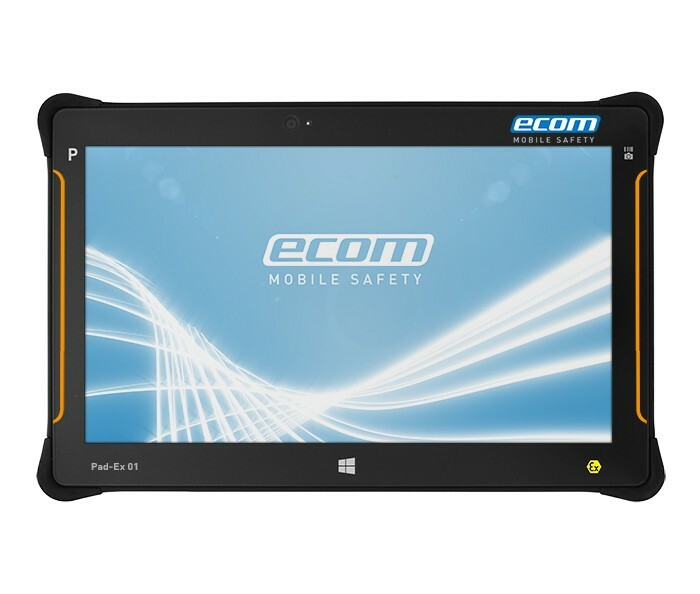 With its additional display protection it is capable of withstanding the harsh environments which field workers face while offering best in class ergonomics to allow maximal usage for a full shift and beyond. Pad-Ex 01 can provide live data access via built in WiFi (a/b/g/n) when you need it, enabling users to access information required to perform the task at hand. Pad-Ex 01 also provides up to 512GB of SSD memory to meet your on-board data storage needs, backed by an i5 processor to ensure your applications run as smoothly as possible. Once your work in the field is done, Pad-Ex 01 transforms into your PC via the optional desktop docking interface, allowing seamless integration into office and corporate networks. Memory on the standard device is 8GB RAM /256 GB SSD. Please add an upgrade if required. Product is built to order and therefore not covered by our 7 day 'NQA' guarantee. Your statutory consumer rights are unaffected.